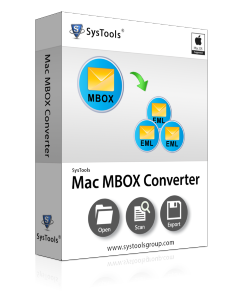 Free Software Solution to Open MBOX files of any Email Clients. Now with the updated version, view MBOX Files in Windows 10, 8.1 & older editions with Modern Outlook User Interface. Two Screen View Mode: Horizontal and Vertical to preview data. Step1: Add File Run the free MBOX viewer and get the option to Add file, which help to browse, load and scan the MBOX file selected. Once the file is loaded user have to wait till the MBOX file is been scanned and preview of the file content is shown. Once file scanning is done, normal view of mails will be loaded by default. An	email attachment can be previewed also. Free file viewer helps to view file data even MS Outlook or Exchange is crashed or unavailable. Tool is helpful to open data file and to confirm which all data is available. It is reliable free file viewer to view & open file even Exchange server is crashed or down. Tool helps to view & read mailboxes contents from Pub & Priv both files. The message file viewer is a completely free product that works without MS Outlook installation. Easily view multiple files and attachments data with all properties. 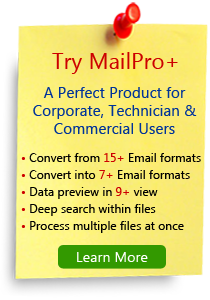 View email files free without installing Outlook Express. Once the emails are viewed user can save email body content to the desired location for future reference. Outlook for Mac data file viewer is a freeware product that does not require any installation and runs on Windows OS only. Open & View mail file data completely. 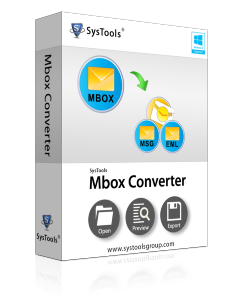 Export all assosicated data from an mbox file to Outlook data file through one of the best and most reliable source. Extract all emails from Thunderbird mbox file or any other application mbox file into message file formats with all Properties. Move emails data from mbox platform to other email file format supported by using the conversion option of product. Export all emails & attachments from mbox file to Lotus Notes NSF using simple conversion steps . Export all emails & attachments from mbox file to PDF Documents with single & multiple export options. Export all emails & attachments from mbox file to HTML Documents with single & multiple export options. Recently, I had downloaded the Gmail account data by using Google takeout that was in compressed format. Once I extracted .zip file there was an MBOX file for all emails, but I was unable to access them with MS Outlook. I used this free MBOX file viewer program to read the MBOX file and very thanks full to free viewer developer for providing such helpful App. I was using Mutt email client for the mailing task mainly in my earlier company which used MBOX file format. 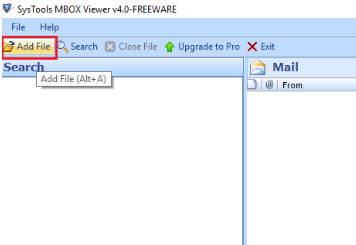 So, I had been searching a free MBOX viewer which can view my emails without the use of an email client. Free Viewer is an extremely useful tool for quick access to mailbox, Thanks to the creative team for understanding the needs of the user.". I have multiple mail clients viz. Mozilla Thunderbird, SeaMonkey and Eudora for my office use as I have been doing the backend mailing work which requires many accounts to handle with. 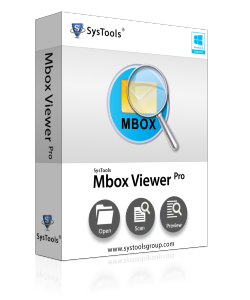 Free viewer helped me to check all the mailbox of my email clients having MBOX/MBX/MBS file format without any requirement of other mail client. Thanks to the developer team for creating this useful utility. I have GoogleApps data which I was using in the past, I needed a tool which could open my mailbox and synchronize all the contacts and event. I converted the data to MBOX format using Backupify tool and later using google takeout. But I needed a free Google MBOX viewer which can view my mailbox without the use of any email client and free viewer did this task for me. Thanks to the developer for creating a useful utility for Google apps backup. I have Mac platform in which I am using Apple Mail. It saved my all emails associated data in MBOX format. Sometimes I need to view these mailboxes on different platforms as I travel a lot. Free Apple mail Mbox Viewer has made my mailbox flexible which I can use on windows platform. Kudos! To the developer team for creating this product. 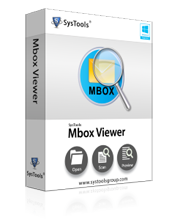 Free Viewer is a nice utility to check the mailbox of MBOX format without the need of mail client. I was using Claws Mail & Netscape mail client and I didn't hope to find a free MBOX viewer which can suit my requirements. However, when I did, I immediately downloaded and used Free Viewer and it is worth having.